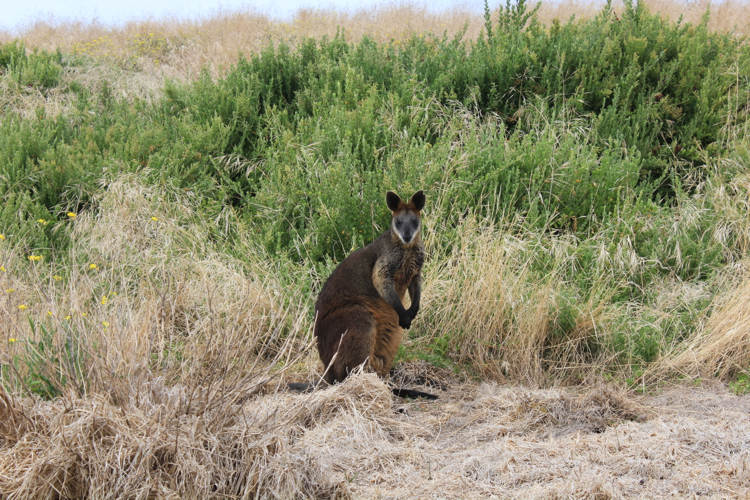 Our trip to Australia consisted of 3 days in Sydney, 4 days in Melbourne, and 11 days in Mandurah, with a few stops to the surrounding areas: Port Fairy – west of Melbourne, and Margaret River – south of Mandurah. Luckily for us, Adam’s uncle Pierre and aunt Tammy live in Mandurah. Not only were they kind enough to put us up for the 11 days we were there, they insisted on spoiling us rotten (they insisted I swear!). As a result, our expenses during that time were minimal, so I’ve excluded our time in Mandurah in the average cost calculations. Before Adam and I left for our round the world trip, we knew that Australia would be one of the more expensive countries on our list. We had an expectation that we would need to spend more; we were warned that cost of living is higher in Oz, but that expectation wasn’t enough. We already found New Zealand kind of pricey. However the Canadian dollar was stronger than New Zealand’s at the time (January 2 – January 16, 2013), so it didn’t hurt as much ($1 CAD = $1.21 NZD). Not only was the Australian dollar stronger ($1 CAD = $0.96 AUD), but the price point of everything was higher too. After impulsively deciding to get dim sum for lunch the day we arrived, we made sure to cook all our meals at the hostel henceforth. 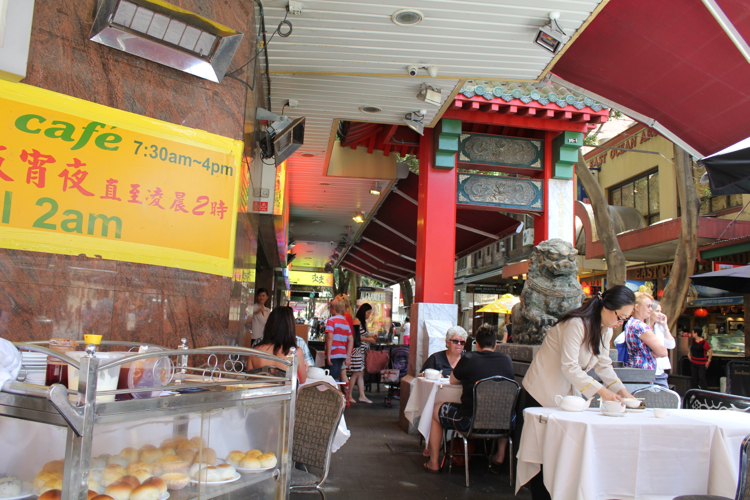 Maybe it was because the restaurant was located in a touristy area, but a simple lunch with 5 dishes cost us $40 AUD! A similar meal in Toronto would’ve been around $25 CAD. Each medium dish was $5 AUD, while the most expensive dish in Toronto would’ve been $4 CAD. When I told Adam how much the bill was, he was convinced there must’ve been a mistake. It was then that we realized we needed to adjust our expectations much more. Here’s a pie chart of our 18 days in Australia excluding flights. 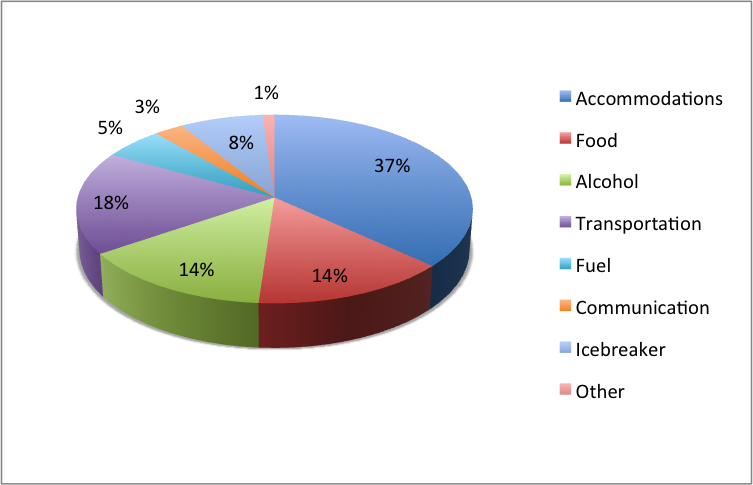 Accommodations and transportation were our top two expenses at 37% and 18%, with food and alcohol tying for 3rd at 14%. I’d like to mention that Adam makes a bad accounting client. He decided to give me a bunch of his receipts many days after I’ve finished inputting all the numbers and made my pie chart :p But at least I got more accurate alcohol numbers! We definitely spent a lot less in Australia compared to New Zealand. Thank goodness for that! Or our RTW trip would be cut much shorter than planned. I’m sure we could’ve spent a lot more too, but we didn’t intend to partake in any excursions or activities from the get go, so that probably helped. As with New Zealand, Adam and I only stayed in hostels when we were in Sydney and Melbourne. The dorm rooms ranged from 4 to 10 beds, and the prices per day per bed were from $23 AUD (Port Fairy) to $36 AUD (Melbourne). Take a look at the costs page for the hostels we’ve stayed at. When looking for hostels in Sydney, we decided to spend a bit more in order to stay closer to the Central Business District (“CBD”, which we know as “downtown” in Toronto). Our Sydney hostel was around $30 AUD/bed/night. Meanwhile in Melbourne, we chose to stay on the outskirts of the CBD, and still had to pay $36 AUD/bed/night. However, we did get a 4 bed dorm room in Melbourne, as opposed to a 10 bed dorm in Sydney. After our dim sum fiasco, we made sure to keep a close eye on food prices and didn’t eat out again. The only thing I let myself indulge in was big slushies from 7 Eleven because it was so incredibly hot! Aside from that, we bought groceries and cooked in the hostel or at the awesome public BBQs. A different country means different wines, beers and other alcoholic beverages to sample. 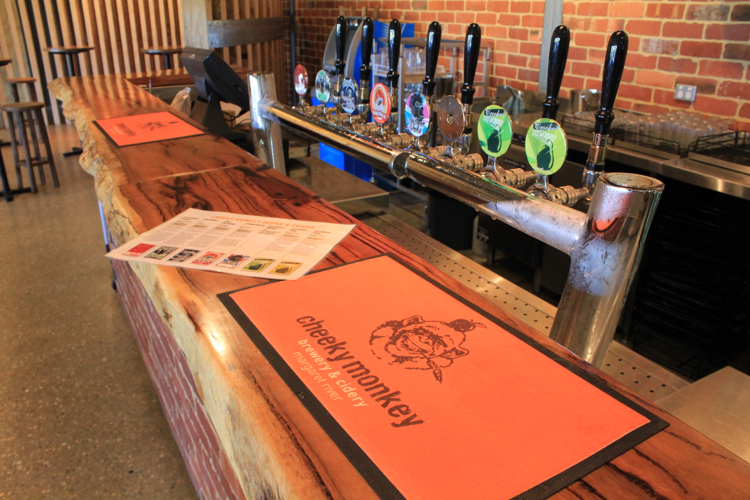 Adam very much enjoyed all the wineries and breweries Australia had to offer, especially in the Margaret River region – home to more than 120 wineries. Interestingly enough, wine tastings at most of the wineries were free! So the amount above was more so spent on Australia’s many local beers. I too tried out a selection of ciders just to join in on the fun. And by “fun” I mean “peer pressure”. I kid, I did find a few ciders I liked, but I still prefer juice to anything alcoholic. The number above includes a bunch of different methods of getting around. I’ve listed them below to provide a rough idea of how much everything costs. 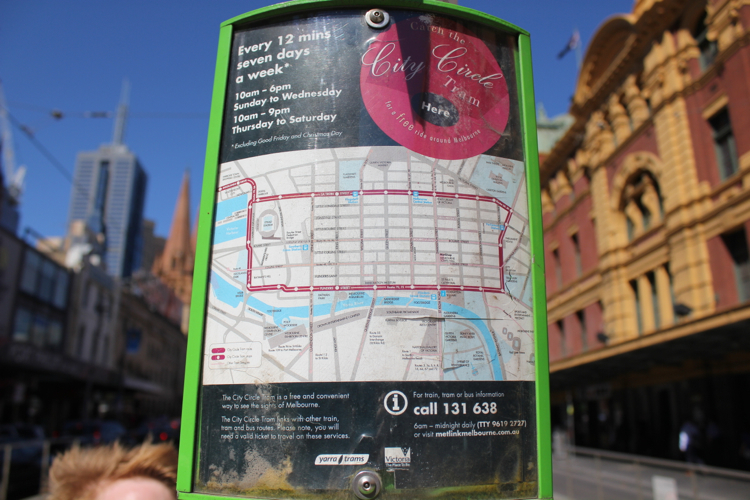 Sydney and Melbourne are great because both cities operate free shuttle services around the CBD, which is a fantastic way for tourists to get a taste of the city. Here’s the link to Sydney’s free shuttles, and here’s the link to Melbourne’s free visitor shuttle bus and free city circle tram service. You can hop on and hop off wherever you want, as long as it’s within the shuttle service’s operating hours. Adam and I liked Melbourne’s shuttle bus better than the tram because 1. it gives a brief description of the points of interest it drives by, and 2. it’s air-conditioned. It also takes you further than the tram. We wanted to ride the shuttle bus around the entire loop, but we only managed to get on for one stop before the service stopped operating. 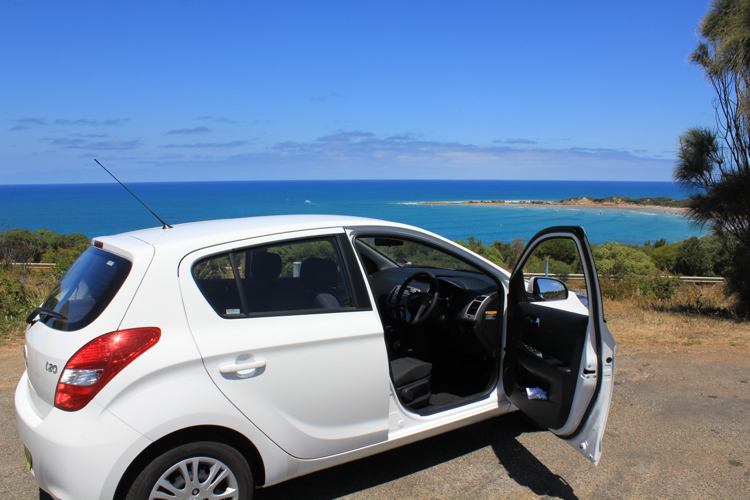 We also hired a car for two days just to do the Great Ocean Road drive we’ve heard so much about. Adam did some quick car rental comparisons while we were in Sydney and booked a car only a few days beforehand. The car hire with Budget Rentals was done through VroomVroomVroom.com, a pretty helpful website that compares a bunch of car rental companies and rates for you. The drive should really be broken down into 4 days as suggested by various websites. But seeing as how we were on a tight schedule, we condensed the drive into two days. Check out Adam’s post here about our experience with that. 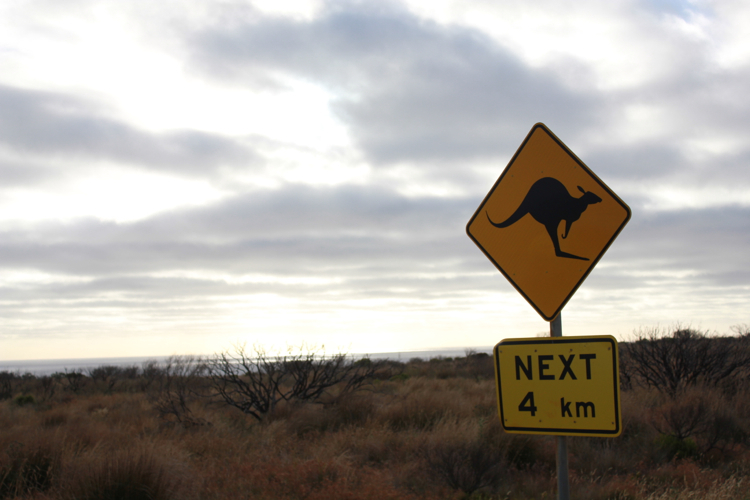 Not only did we cram a 4 day drive into 2, we also cheated and took the highway back to Melbourne, instead of the proper scenic route that takes you to Halls Gap. (If you look on the map below, Halls Gap is north of Port Fairy). Budget gave us a Hyundai I20. We only filled up once seeing as how we cheated on the Great Ocean Road drive, and spent $65 AUD on fuel for having driven 725 km. Petrol went for $1.479 AUD/L in Melbourne. As soon as we landed in Sydney, Adam went to check out the Vodaphone booth in the airport, and left with a $30 AUD prepaid plan. The plan would expire in 28 days, and came with $450 worth of “credit” towards calls and non local text messages; 500 mb of data; unlimited text messages to Australian phone numbers; and unlimited access to Facebook, Linkedin and Twitter. A standard national voice call would cost $0.90 AUD/minute + $0.40 connection fee and is charged against the available credit. Unfortunately, we have no idea what the rate for calls to Canada was, but it was enough to make several lengthy calls. 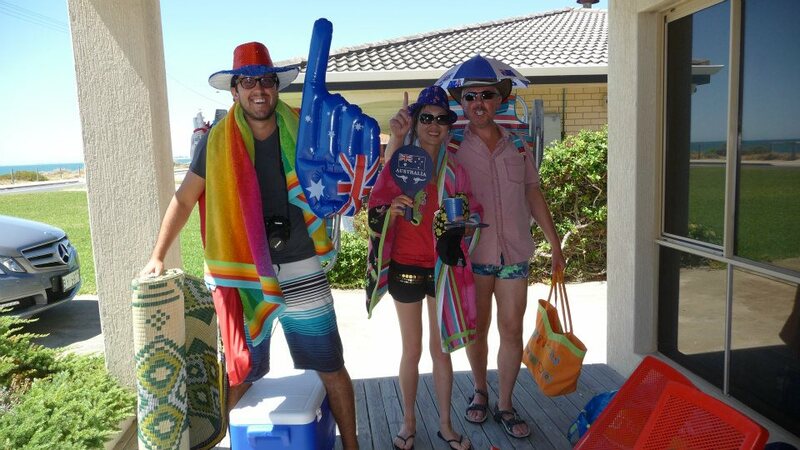 Having service in Australia did come in handy, and overall Adam was happy with the prepaid package. Being neighbours with New Zealand, Australia carries its share of Icebreaker clothing. For once it wasn’t me who did the shopping. Adam caught a sale on a very nice pair of wool Icebreaker shorts in Sydney. Excluding Adam’s Icebreaker purchase, our average daily cost in Australia was roughly $84 CAD/day/person. Keep in mind that this does not include our flight from Melbourne to Perth ($152 CAD each), and more importantly, our Australian Visa, which was $20 AUD each and super easy to get. On a side note, if you’re not much of a drinker, the daily average becomes $71 CAD/day/person. For comparison purposes, our average daily cost in New Zealand was $76 CAD/day/person, however we had a rental car for 14 days, while we only had a rental car for 2 days in Oz. In all honestly, I’m not sure how to travel Australia inexpensively seeing as how the price point of everything was so high. We did see a lot of youngsters travelling by camper van or car camping, so there’s that. 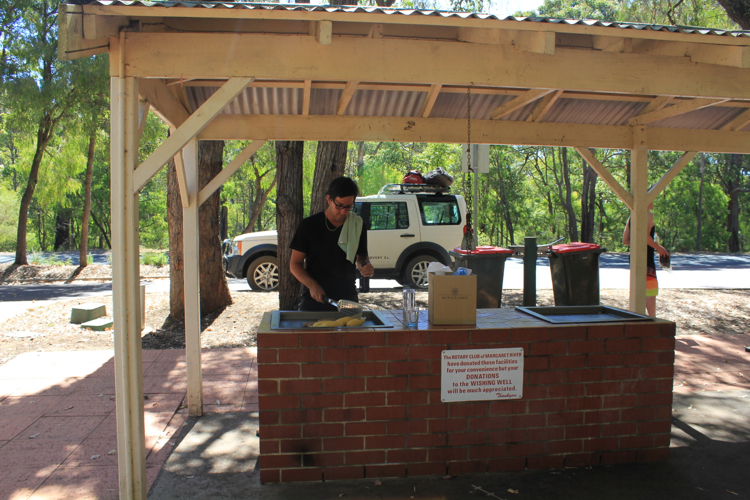 Although many campsites require an entrance fee of $7 – 30 AUD as well. The more facilities a campsite has, the higher the price point. At $7 AUD, a campsite would have a basic toilet with BBQ facilities. You would have to pay slightly more than that if you want a shower, which might be necessary once in a while. Good analysis! Nice to know your accounting skills are being used, lol. If only this could count towards our PD hours!